Tribology is the science of friction, wear and lubrication and is truly interdisciplinary. It studies the interaction of moving surfaces and every aspect related to friction, wear, lubrication, adhesion, tribochemistry, etc. Tribology solutions are applied in automotive industry, bearings, space, sports, food, health and biomedical, renewable energy and other numerous fields. The term “tribology” is derived from the Greek word ‘tribos’ (τρίβοσ) meaning ‘rubbing’ or to rub and it was invented in 1964, while exploration of friction has started well in the past sometime 50,000 B.C. when humans started using it to get fire (see history of tribology). Ancient civilizations in Egypt and China applied lubrication principles to transport heavy stones used in their gigantic buildings. 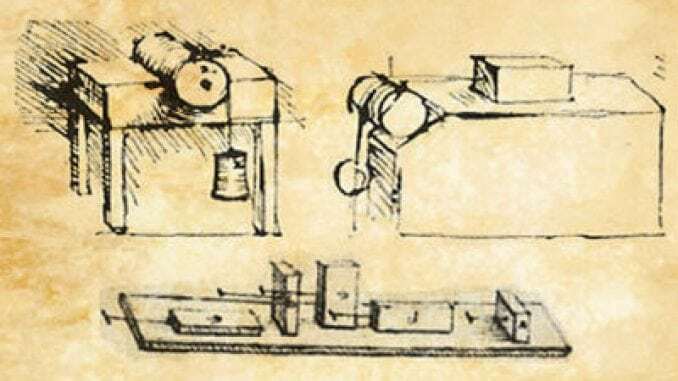 However, first systematic studies of tribology were performed by Leonardo da Vinci – first tribologist of the world in 1490-1500. He focused on all kinds of friction and made a distinction between sliding and rolling friction. The importance of tribology rises due to the fact that frictional and wear losses consume energy, which otherwise could be saved. Professor Jost estimated that minimal investment (with ratio of 1 to 50 to the outcome) in research and development of better tribological practices could save from 1% to 1.4% of gross national product . Besides economical effects, tribology can be used to reduce emissions by increasing the energy efficiency and thus help to maintain our planet. Transportation industry is one of the largest energy consumer, but also emission source, while being potentially largely optimized by using cutting-edge tribology solutions. Wear particles can be a source for mechanical damage in bearings, disk breaks, MEMS, but also are harmful for human health if penetrate from atmosphere to human body. The outcomes of the tribological research therefore can be used to solve important problems of the society. To control friction and wear lubricants are used. Lubricants separate rubbing surfaces from direct contact by creating a lubricant film. The film protects the surfaces from wear and the lubricant is chosen to control (mostly reduce) friction. Lubricant can be in a liquid, gaseous, solid forms or even a combination of them as in case of emulsions and greases . Often, lubricants are liquid oils and they generate a very thin lubricant layer to separate the rubbing surfaces. This layer is shared more easily than the solids would and therefore, the friction and in many cases wear are reduced. The classical (elasto-)hydrodynamic lubrication theory can be effectively used to predict the thickness of the film, but also friction generated by the lubricant and to design mechanical components. For most common engineering materials and conditions, the friction of the layer is less than the friction between the solids. Besides separating the surfaces, liquid lubricants also reduce temperature rise, clean the surfaces, eliminate wear debris and regenerate protective films. It should be noted, however, the classical lubrication theory of the friction reduction has reached its fundamental limit (the friction of 0.01-0.04) and cannot help to reduce friction further. Therefore, other theories have to be developed. The major drawback of the classical lubrication approach to reduce friction and wear is the reliance on the development of a sufficiently thick lubricant film to separate the surfaces from direct contact. Unfortunately, the thickness of the film is largely determined by the viscosity of the lubricant. To separate two microscopically rough surfaces from contact, a lubricant film thicker than the level of the roughness is needed, so the viscosity has to be high enough. Higher viscosity means higher friction force is developed by the lubricant on the surfaces of solids and results in higher energy losses. As it was mentioned above, this brings the fundamental limit to the application of the hydrodynamic lubrication approach. Superlubricity is a recently invented term in tribology, which is generally defined as the state, at which the friction coefficient is low. The definition of “low” is not quite clear, but it can be assumed less than 0.01-0.001. Due to the generality of the definition, the mechanisms of the superlubricity can be of various nature. At the nano scale, the structural superlubricity may occur, if the crystal lattices of the contacting bodies are incommensurate. Formation of nano bearings may also lead to the superlubricity state by changing the friction from sliding to rolling. Ultra-low friction was reported in glycerol/water mixture lubricated steel pairs due to generation of easily sharable hydrogen-bonded layer. Van der Waals repulsive forces were shown to be capable to lead to superlubricity state between a gold AFM tip and Teflon substrate. The realization of the mentioned superlubric states typically requires very special conditions, such as vacuum, or materials, such as graphene, diamond-like carbon, etc. Therefore, translation of the superlubric state into macroscale and ordinary environment is a challenge. Jost, H.P. : Tribology micro & macro economics: A road to economic savings, Tribology and Lubrication Technology, Vol. 61, No. 10, pp. 18-23, 2005. Piet M. Lugt, Grease Lubrication in Rolling Bearings, ISBN: 978-1-118-35391-2.